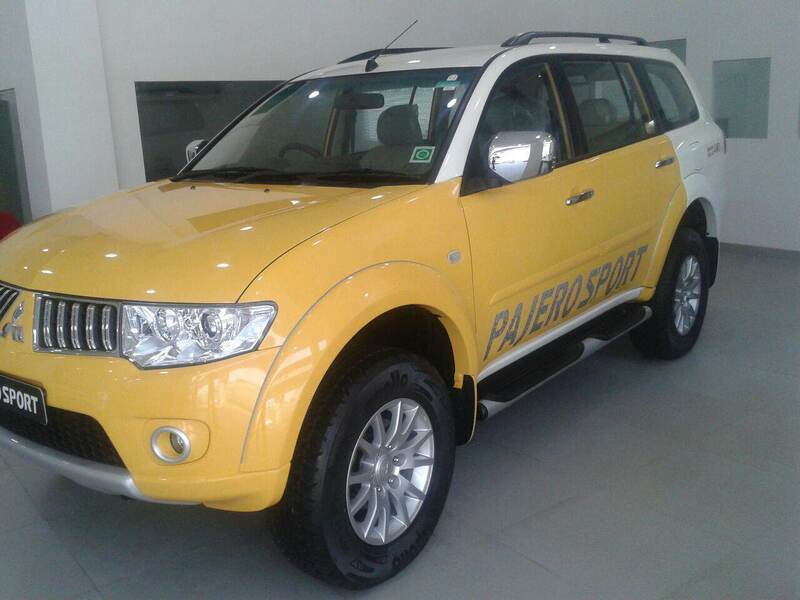 Mitsubishi has announced the launch of a dual tone version of the Pajero Sport in India. With the upcoming season of festivities, Mitsubishi is also cashing in on the opportunity by offering two new shades for the Pajero Sport, namely Flame Red-White and Lemon Yellow-White. Customers will have to shell out Rs. 50,000 more for the ‘Pajero Sport dual-tone’ models over the standard model, which is priced at Rs.23.5 lakh, ex showroom Delhi. Along with the new paint job, the Pajero Sport dual-tone version also gets a DVD player, a cooler box, ORVM’s with integrated blinkers, Pajero Sport decals on the doors and a few other minor tweaks. The renewed paint jobs did not impress many, but there are some enthusiasts who did find the new paint job appealing. The Mitsubishi Pajero Sport has a 2.5-litre, 6 Valve intercooled turbocharged DOHC common rail diesel engine under the hood. This generates 178 PS of power at 4000 RPM. It has a 5 speed manual transmission and gets the super select 4WD system.